We'd like to recognize SSFM International for their new initiative to get employees on Biki's! 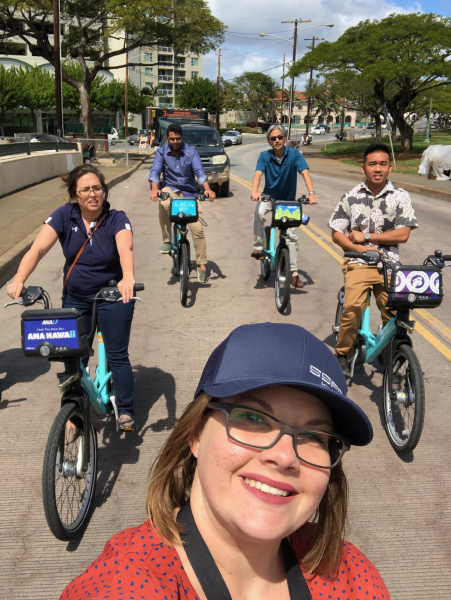 The Biki network expanded to the Kalihi area in December 2018, and SSFM staff were psyched to have a new transportation option that would allow them to easily commute to and from their Sumner Street office and out for meetings, lunches and pau hana's. 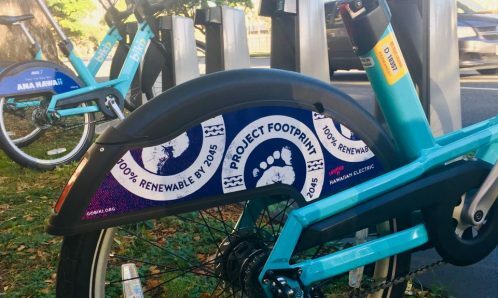 To celebrate the nearby stations and encourage staff to give Biki a try, SSFM International is now offering Free Spirit Biki Memberships for all interested SSFM employees. 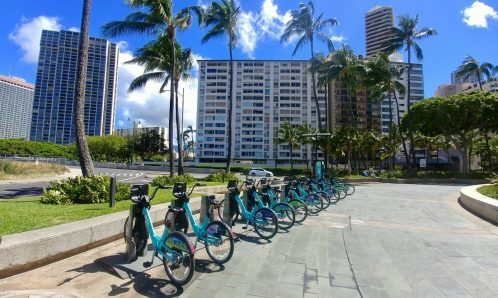 They have since coordinated "Biki to Lunch" company outings and even encouraged staff visiting from Manila to use the system as a convenient way to get around while they're in town. With over 40 employees enrolled as Biki Members, we are proud to work with organizations who recognize Biki as a healthy, convenient and environmentally-friendly employee benefit! Over 20 organizations are currently enrolled in Biki's employer plan program. 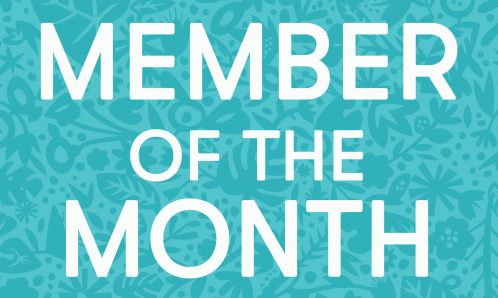 The standard program offers 10% off the $15 Monthly Membership, which allows for an unlimited number of 30 minute trips. However, there are some companies including SSFM International, HDR Inc, Ulupono Initiative and Mobi that go a step beyond and cover the cost of employee memberships. Many companies already offer their staff parking subsidies, bus passes and even company cars. Adding Biki as a new workplace benefit is a great way to promote employee well-being and demonstrate leadership in the community! Interested in bringing Biki to your workplace? 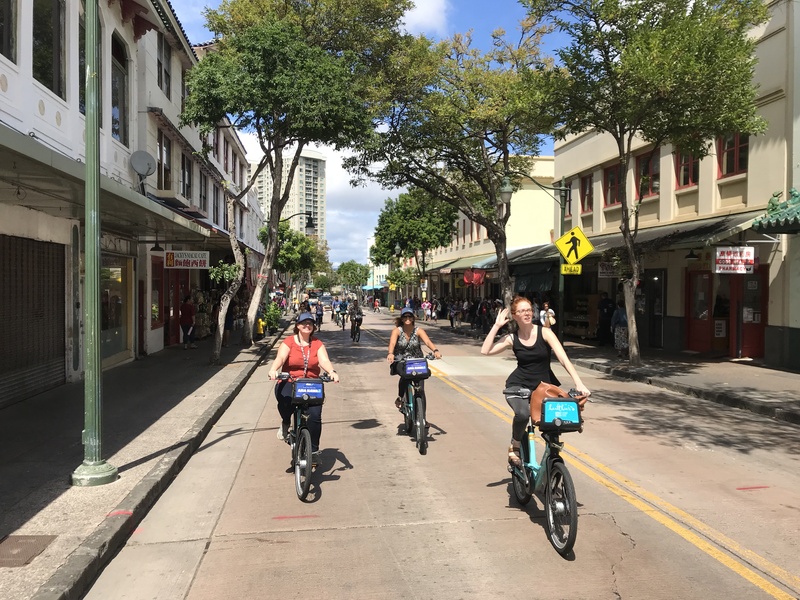 Ask someone from your HR department to contact kelsey@bikesharehawaii.org! Do you Biki to lunch with your coworkers? Have you hosted a Biki-themed event or social experience? Maybe you recently witnessed a Biki celebrity siting? Or a marriage proposal on a Biki bike? We love hearing the variety of ways our riders use the system. Share your Biki stories with us or post your photos and tag #GoBikiHI.